This is for converting Märklin locomotives with built-in AC/DC / field coil motors. 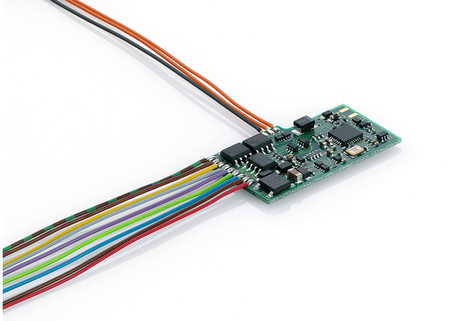 The AC/DC märklin locomotive decoder supports the digital formats mfx, MM1, MM2, and DCC. It has particularly powerful function outputs for old Telex couplers, light bulbs, and smoke generators. The classic unregulated running behavior under different loads remains preserved on "Old and Youngtimers" upgraded with this decoder.